The Canadian Neighbor Pharmacy ( Thecanadianneighborpharmacy.com ) looks like a traditional online pharmacy, but what lies beneath is quite shocking. 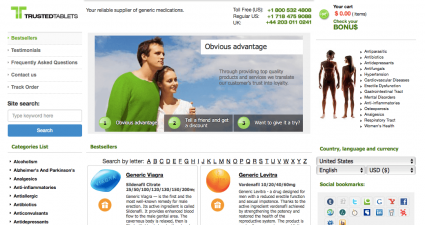 The website claims to offer the best medications possible to its consumers all over the world. 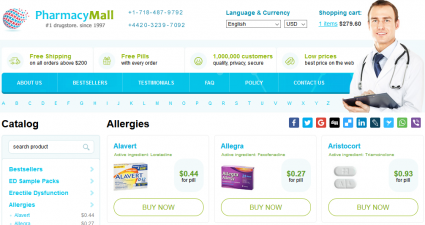 It even promises FDA approved products on its website at thecanadianneighborpharmacy.com. The “About Us” section of thecanadianneighborpharmacy.com makes false claims about licenses, warranties, guarantees and just about every consumer service assistance possible. The promises are highlighted by a very neatly designed website, which allows consumers to browse through long lists of medical conditions and lists of necessary medications. Unbeatable offers, super low prices and positive reviews from past customers are everywhere on their site to convince new potential customers of the excellent products and service they will receive at thecanadianneighborpharmacy.com. The Canadian Neighbor Pharmacy website is not SSL secured, so all visitors are already at risk while visiting the website because it is not encrypted. So, when new customers provide their financial, confidential and personal information, it is all being exposed to the World Wide Web for potentially scams and fraudulent activity. While all this negative talk about thecanadianneighborpharmacy.com may seem harsh for, let’s look at some solid evidence that will reinforce our claims. ScamAdviser is quick to inform us that the website is listed as a threat. This means it has been placed on a list of harmful websites due to the presence of malware, viruses, rogue activities and more. With a poor 33% safety rating, one should not conduct business on this website. It is important to note that while it claims to be a neighborhood Canadian pharmacy, the website location is in the United States and it is associated with high-risk nations, such as Russia. So, none of the claims made by thecanadianneighborpharmacy.com have been found to be true. Not only is thecanadianneighborpharmacy.com not found on the Canadian International Pharmacy Association (CIPA) registry, it is found on another CIPA database for “Rogue Online Pharmacies and Fake Mail-order Prescription Websites”. In fact, this pharmacy finds itself on its top 10 list. LegitScript accurately identifies the Canadian Neighbor Pharmacy as a Rogue Internet pharmacy website. With an approval status of “Rogue”, thecanadianneighborpharmacy.com does not meet the verification standards of LegitScript. This means that the Canadian Neighbor Pharmacy is also in violation of the legal business and operational standards for medicinal practices online. Being a mail-order Internet pharmacy, it cannot legally sell, prescribe or dispense medications without meeting the accepted industry standards. Additionally, it is deemed to be involved in fraudulent and/or deceptive business practices. There are customer reviews and/or testimonials by supposed past customers of the Canadian Neighbor Pharmacy. But it is highly unlikely that these are all genuine reviews. Reason being, they all follow the same structure of overpraising medications found on the website and its services. They all rated it with 5 out of 5 stars. When things sound too good to be true, it’s time to gather more information. Keep reading to save yourself from harmful online pharmacies, such as thecanadianneighborpharmacy.com. It comes as no surprise that Trustpilot, an independent review service, does not have any information regarding the customer experiences with thecanadianneighborpharmacy.com. For a website that has been in business for over 6 years, this is a huge red flag. Any business that is legally operating in the retail industry will be registered on one of these independent review services as a way to attract new consumers. But clearly, this is online pharmacy is a scam. MyWOT does not have a known safety rating for thecanadianneighborpharmacy.com. But with an “unknown” safety rating, it managed to fool MyWOT into getting 2.5 stars out of 5 for its reputation. The safety rating breakdown states that it received 50 out of 100 for trustworthiness. Such inaccurate data may have caused it to generate some stars for its reputation. 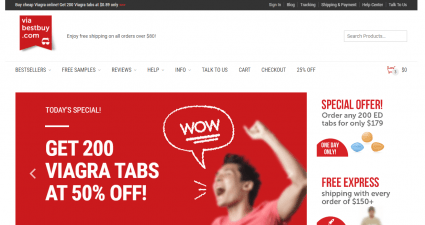 A negative review of the Canadian Neighbor Pharmacy in the comments section indicates that it is spamming site and the domain has been seized by the US FDA. The website thecanadianneighborpharmacy.com has offers, deals, great prices, great reviews and a great website design. Unfortunately, it’s all a trickery to fool innocent consumers into spending their hard-earned money on faulty products. 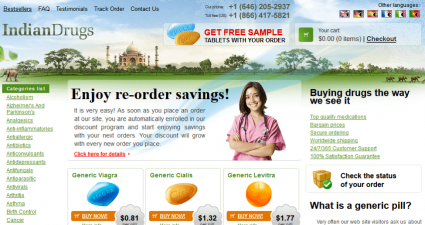 There is no support found for the legality of this online pharmacy. The Canadian Neighbor Pharmacy looks like an average internet pharmacy, but it is not. None of the independent checking services recorded any positives about thecanadianneighborpharmacy.com. We highly discourage consumers to conduct any business with this website due to its high-risk ratings. We rate thecanadianneighborpharmacy.com 1 out of 5 stars.